There are many great SEO tools available these days, helping from anything to technical analysis and on-page SEO to link building and outreach. Personally I’m a big fan of the likes of Screaming Frog, URL Profiler, SEMRush and Ahrefs. However, on top of these must-have SEO tools, I also use a range of free Google Chrome extensions for everyday SEO tasks. These plugins help save a lot of time and also provide a lot of value for analysis directly in your browser. This post is my list of the best Google Chrome plugins for SEO in 2017. With over 400,000 installs, undoubtedly one of the most popular Chrome plugins for SEOs is the Mozbar, an SEO toolbar from Moz. The toolbar can be used directly in the SERPs (search engine results pages) or to analyse individual web pages. What’s also great about this toolbar is you don’t need a paid Moz account to use it. You can create a free account to use the toolbar and get all of the above. There is a premium version of the toolbar which includes keyword difficulty scores, content suggestions and additional link data, but personally the free version is more than good enough for what you need. As well as the Mozbar, both Ahrefs and Majestic also provide their own SEO toolbars. Despite using both of these paid for tools regularly, I can’t say I’ve used their toolbars much myself. The Mozbar gives me everything I need for a quick analysis so is definitely my SEO toolbar of choice. I only heard about Keywords Everywhere when it was mentioned at a BrightonSEO talk in April 2017, but have been using it regularly ever since. 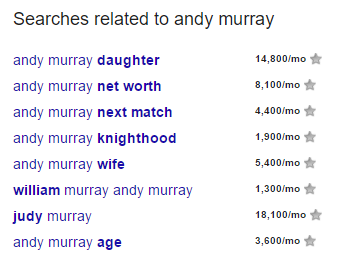 This plugin can be used in a number of ways to extract and view search volumes for millions of keywords. I’ve always been a fan of Google’s Keyword Planner tool, but as this is really a tool for paid search Google have started to restrict the amount of data you can get from the tool unless you’re spending a significant amount with AdWords. Keywords Everywhere is a pretty good alternative. Not only can you bulk upload keywords to pull out volumes in seconds like you would do with Google Keyword Planner, but where it really comes into its own is being able to overlay this data directly in the SERPs or even into your favourite keyword research tools. This means you don’t need to be constantly switching between accounts and can view everything in one place. Keywords Everywhere can also be overlaid into other popular SEO tools including Google Analytics, Google Trends, UberSuggest, Majestic and Open Site Explorer. 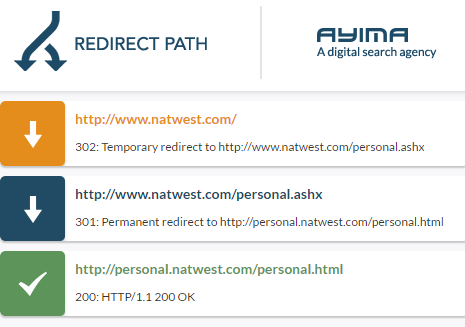 I’ve been using Ayima’s Redirect Path for years, and would definitely recommend it for SEOs. 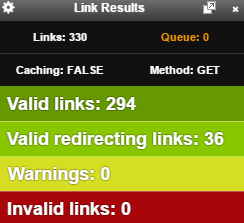 This useful plug-in allows you to see the HTTP status code of a given URL, such as 200 (OK), 301 (Permanent Redirect), 302 (Temporary Redirect), 404 (Not Found), 410 (Gone) and 500 (Internal Server Error). This can help you to identify URLs that are returning unexpected status codes, or that may be going through a redirect chain or loop which you’d want to fix. A good example of when to use this tool would be testing HTTP vs HTTPS redirects following a site migration. 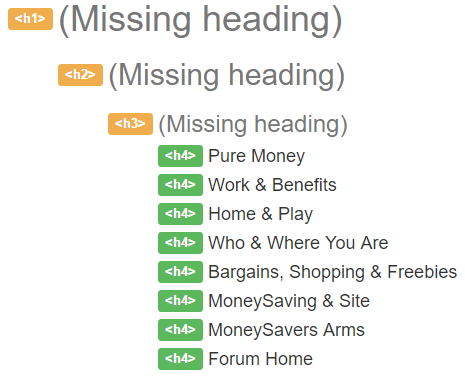 You can view the heading structure of a page using Document Outline, which may help you to spot if anything needs to be cleared up or is missing. There’s so much more you can do with Web Developer too, including viewing response headers, alt text and title attributes for every image and all the links on a page. Really handily too, you can resize your browser window which is a must when testing for different device sizes such as desktop, tablet and mobile. Another useful Chrome extension is Nofollow. This handy plugin allows you to identify nofollow links directly on a web page, without needing to head into the page source. This is particularly useful when you gain some new links, as you can quickly see if the link is followed or not just by viewing the page. 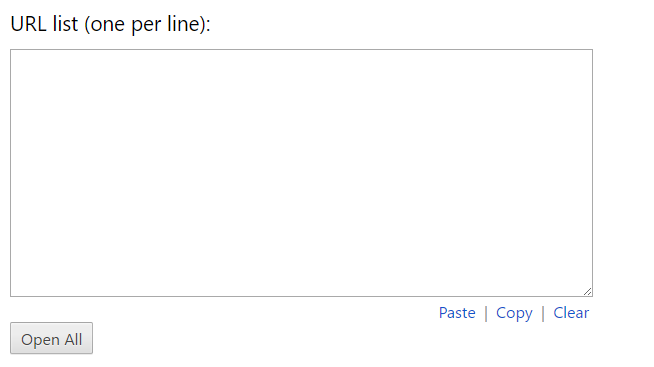 The plugin highlights nofollowed links with red lines like in the image below. If a link does not have red lines around it, the link is followed. The Nofollow plugin can also be used to identify meta robots tags that are set to noindex, but I personally use it as above to identify if internal or external links are followed or nofollowed. Check my Links is a really handy Chrome extension that will identify if there are any broken links on a given webpage. 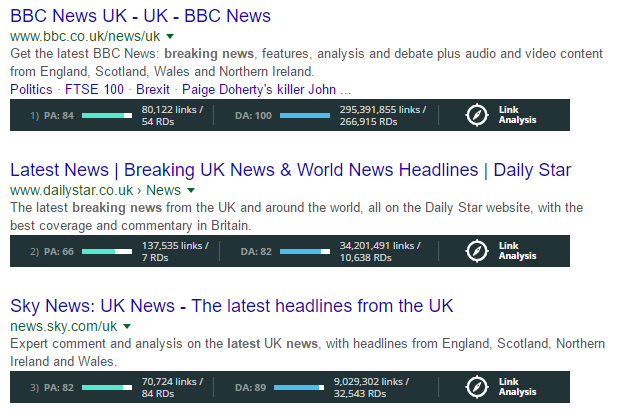 This can be really useful for broken link building and also for technical analysis if the page you are analysing is on one of your own domains. In the case of broken link building you can offer your own resource as a replacement for a broken link, whereas if the broken link is on your own domain you can fix it to ensure users and search engines don’t get stuck at a dead end. HTTP Spy is another useful Chrome plugin. 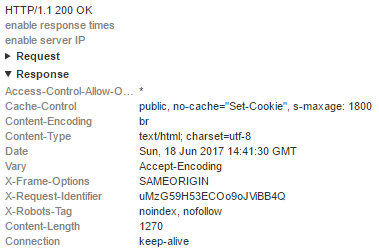 I use HTTP Spy to view the HTTP header for a web page. Here you can find the status code of a page, but also additional information such as if the site is using X-Robots tags to control page indexation and following of links or the vary-header to instruct search engines that the site changes in appearance based on the visiting device. The User Agent Switcher for Chrome extension is my go to when testing across different devices. With a click of a button this plugin allows you to switch user agents, so you can view how a page appears across devices of all different sizes. With Google placing huge emphasis on mobile going forwards and more traffic than ever coming from mobile devices, it’s so important that your site is optimised for mobile users and not just desktop. With this extension you can view a site with different browsers including Google Chrome, Internet Explorer and Safari, as well in different sizes including the default desktop view, iOS devices the iPad and iPhone 6, and Windows Phone. Not an SEO tool as such, but Bulk URL Opener is a plugin I use on a daily basis to open multiple URLs at once. As an SEO it’s common to need to open and analyse multiple URLs at any one time. Bulk URL Opener is a great time saver as you can just paste a list of URLs and open them all in new tabs. I usually paste up to 20 URLs at a time, and using Bulk URL Opener means they are all ready to view in seconds. Another useful time-saving plugin is Linkclump, which is great for copying URLs directly from the SERPs. Using the right-click of your mouse or keyboard, you simply drag a selection box around the links you want to copy. Depending on how you set it up, Linkclump will then either open all the URLs immediately in new tabs, open them in new windows, save them as bookmarks or copy them to your clipboard. Personally I prefer copying a list of URLs from the SERPs to my clipboard, and then pasting them into Excel or Google Sheets for further analysis. 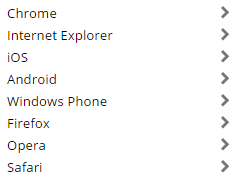 So there you have it, that’s my list of the 10 Google Chrome extensions that I wouldn’t be without. As mentioned above, I use a number of SEO tools to help with analysis, but these free Chrome plugins are an invaluable resource that not only save me time, but also provide extremely useful information. If I’ve not included your favourite Chrome plugin, let me know and I’ll be sure to take a look! Useful list Simon thanks, a few there I wasn’t aware of and will check out. I like the Similar Web Chrome extension for traffic estimates to assess site popularity at a glance. Thanks for the comment Nathan – good shout on Similar Web. Will add that to my Chrome extensions as can see it becoming handy.